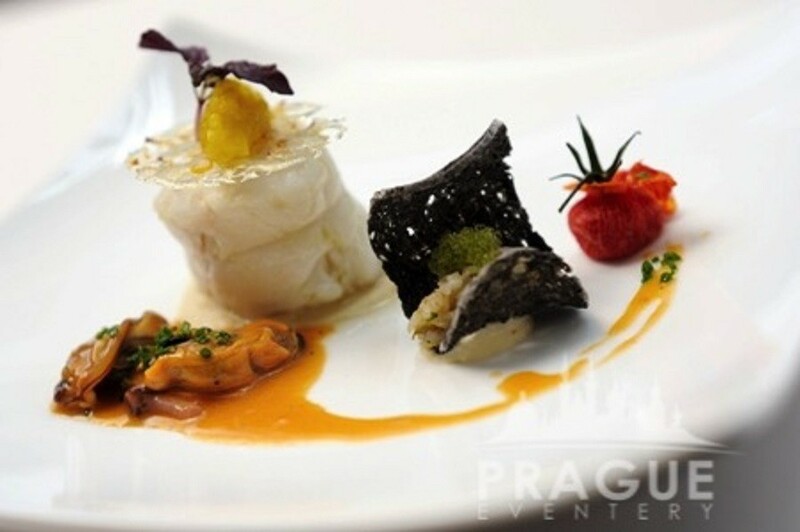 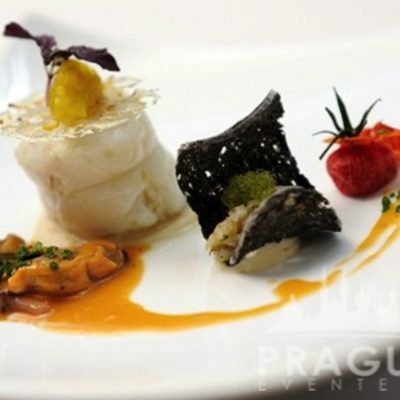 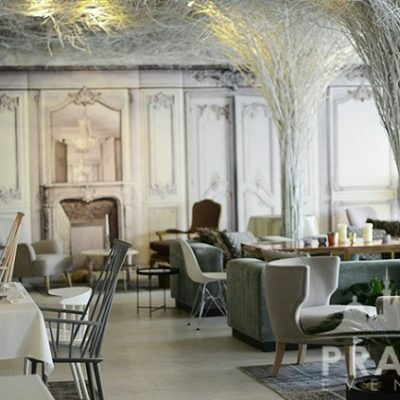 « Previous "French Restaurant Art Nouveau" | Next » "MANÚ Risto & Lounge"
SOHO+ is a dramatic addition to the Prague restaurant scene due to the fact that it is a stylish dining spot that offers high-quality food in a setting with the vibe of a fashionable nightclub. 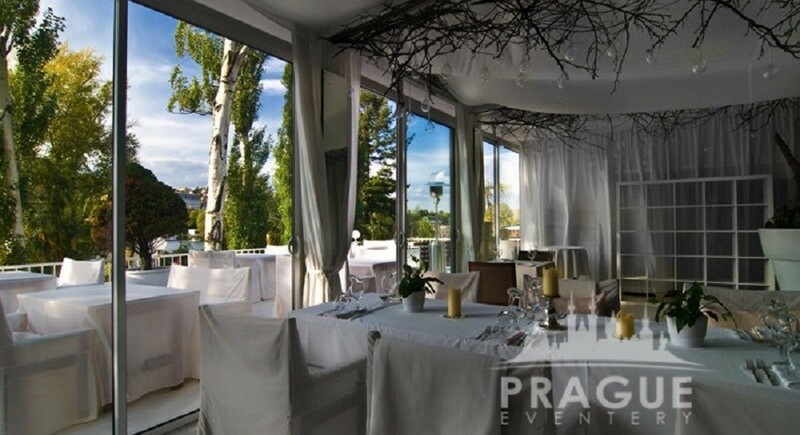 Hence, a truly super trendy Prague restaurant. 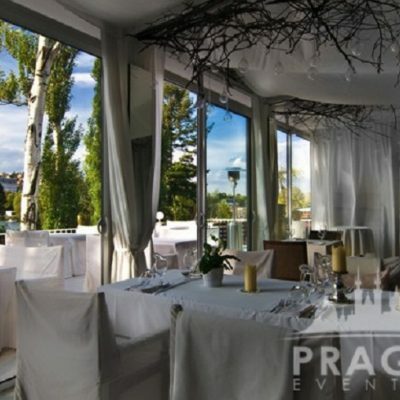 There are long drapes hanging between the dining area, and a more relaxed “chill” section with comfortable sofas. 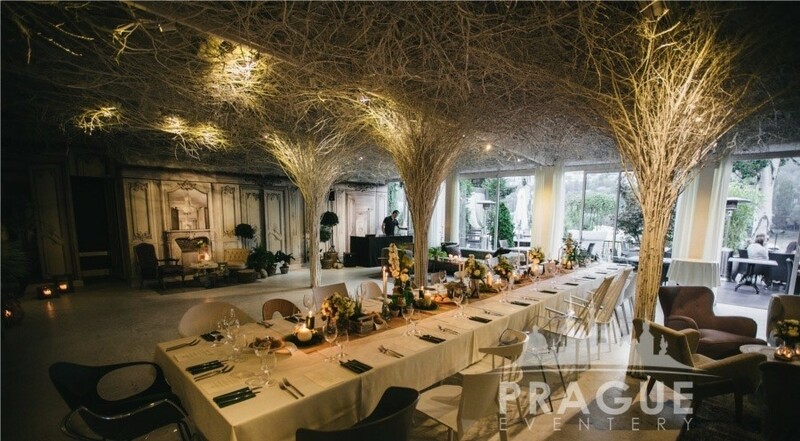 The space can easily be altered to create a sense of intimacy wherever you’re seated. 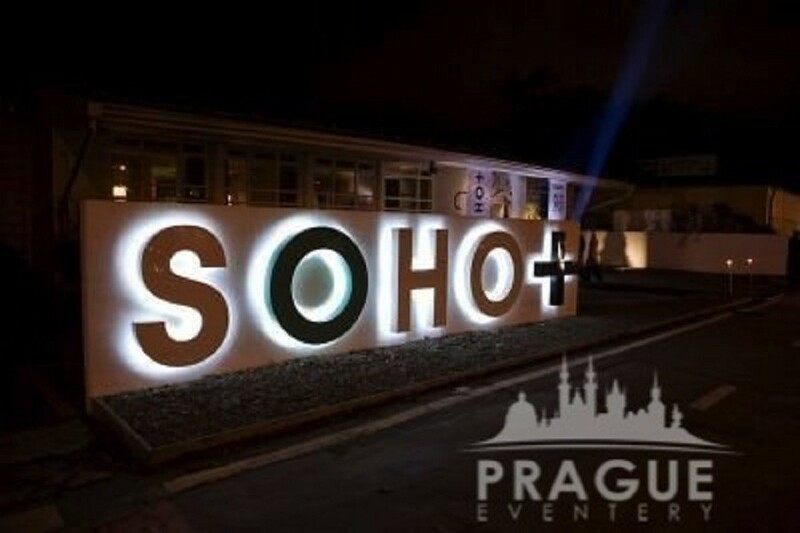 SOHO+’s main asset is its riverside location with fantastic views of the Vltava’s rocky shores. 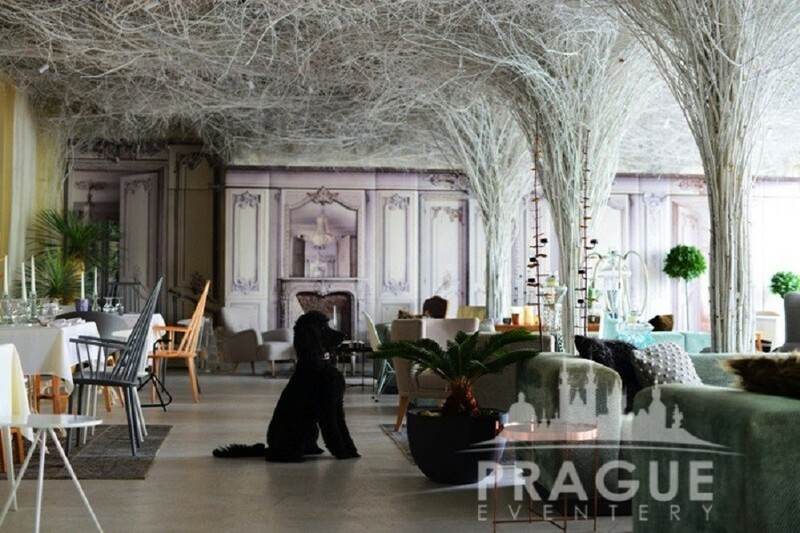 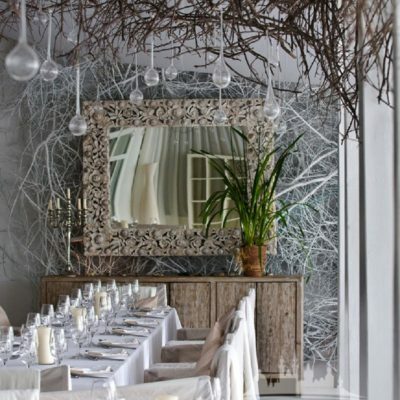 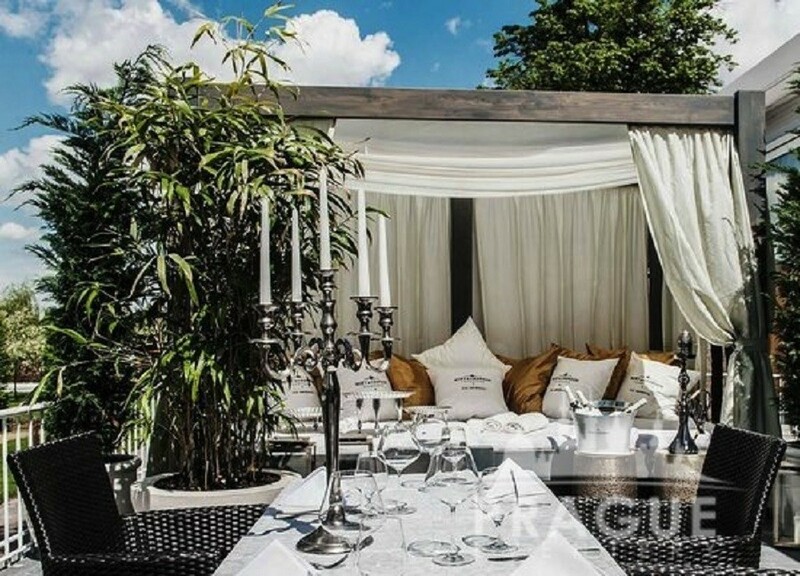 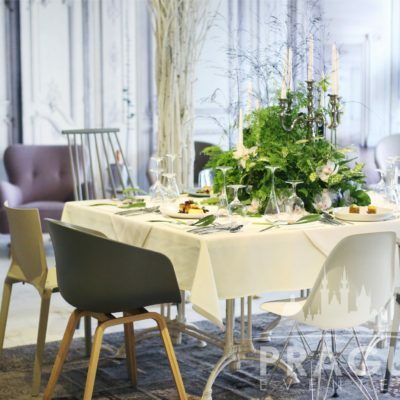 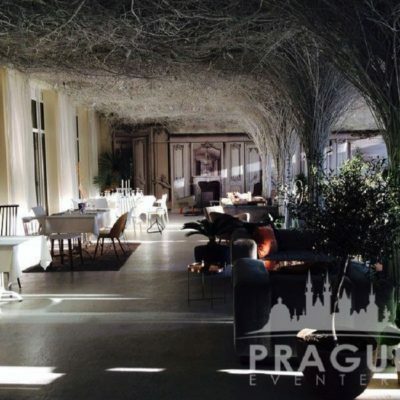 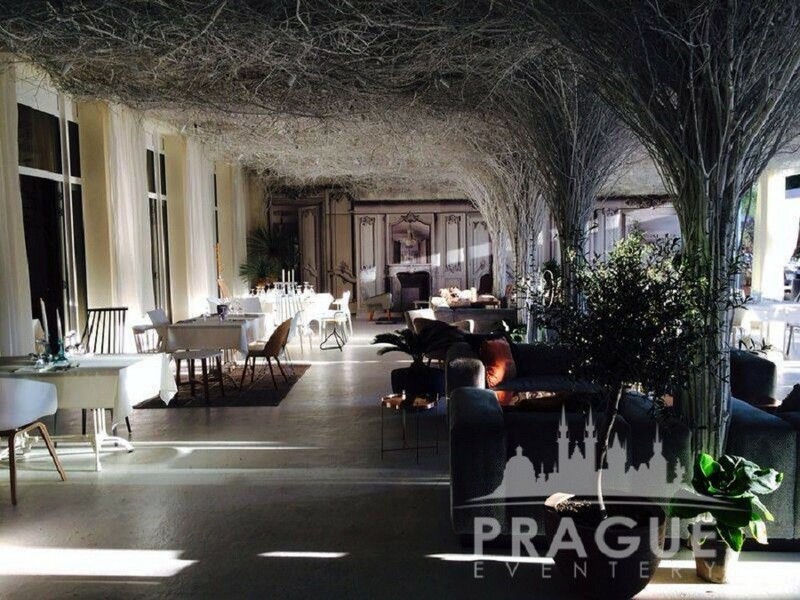 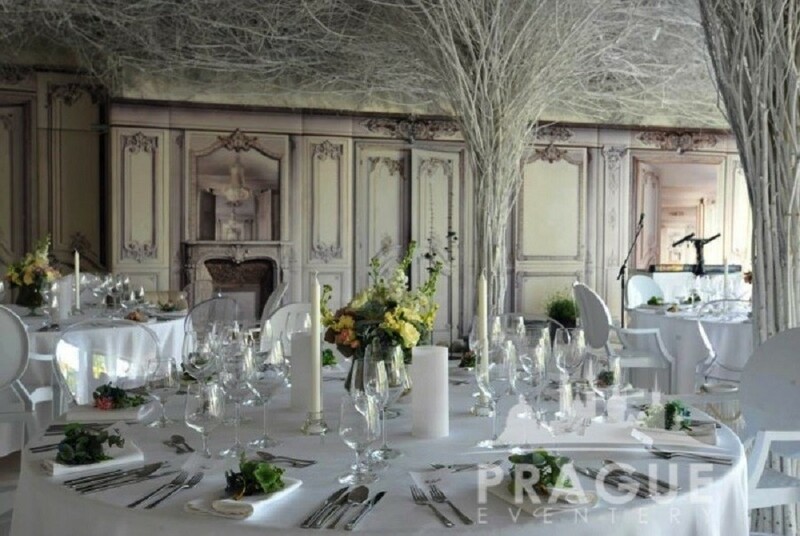 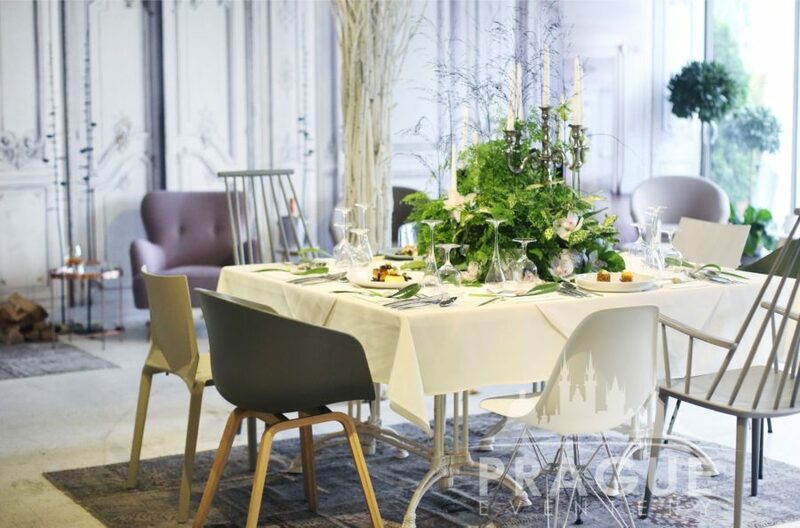 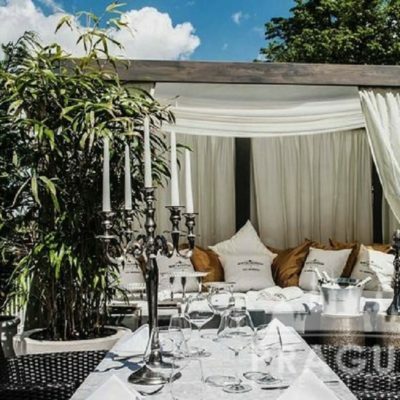 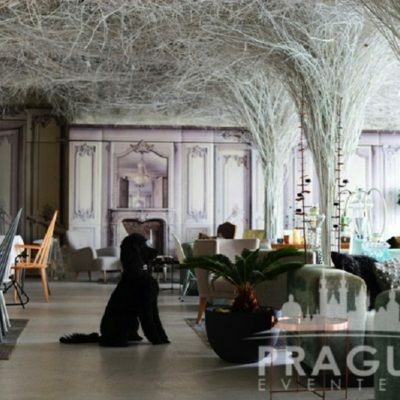 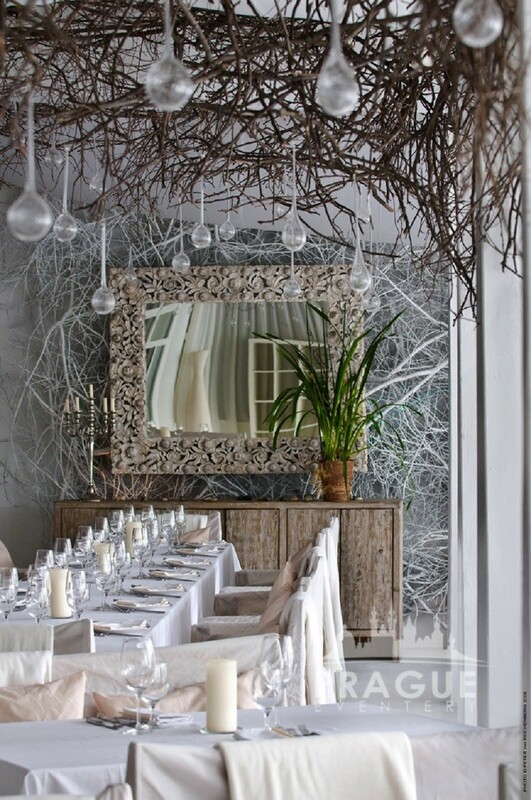 In addition, this trendy Prague restaurant has an awe-inspiring winter garden-terrace which is designed to create the illusion which seems like dining in the midst of a winter forest setting. 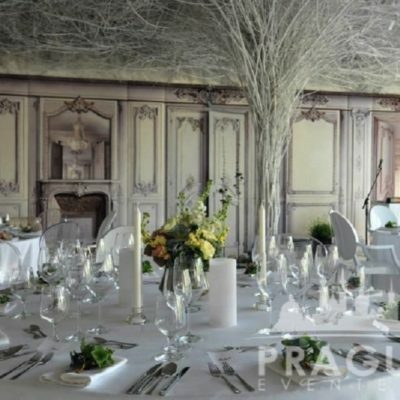 White birch branches completely embrace the ceiling overhead whilst a fireplace coupled with manor style wall features add glamour and intrigue. 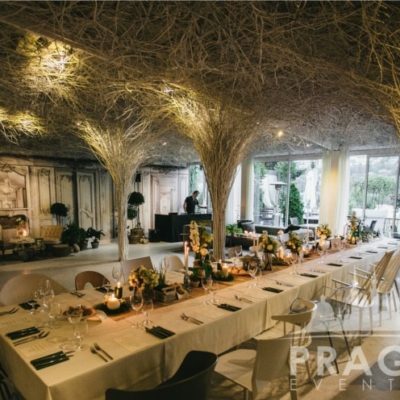 Enriched by a positive feeling that we can sense in the space, SOHO+ lives this story on all levels. 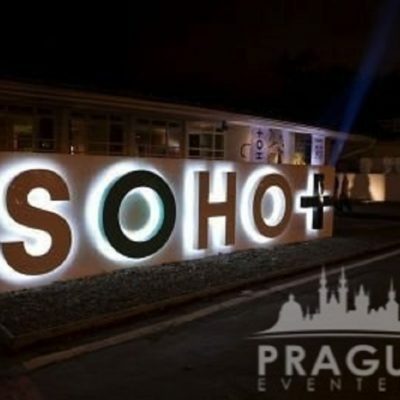 SOHO+ is a symbol, an artistic pattern, and therefore, a motto for our work to come.